Norwegian Cruise Line is awarding a free cruise a day in July to as part of Home Shopping Network’s 35th birthday. The “Cruise a Day Giveaway” will launch on June 30. Winners will receive a cruise for two, plus airfare, to Hawaii, Alaska, the Caribbean, Bermuda, Europe or the Bahamas. Cruisers can enter at HSN Arcade. Each day’s winner will be announced live on HSN at 8 p.m. ET. 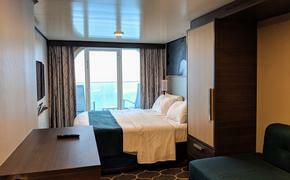 In addition, HSN shoppers who request a Norwegian brochure on HSN.com will be eligible to receive a $100 onboard credit to use on a Norwegian cruise of five days or longer when they book before Aug. 31.